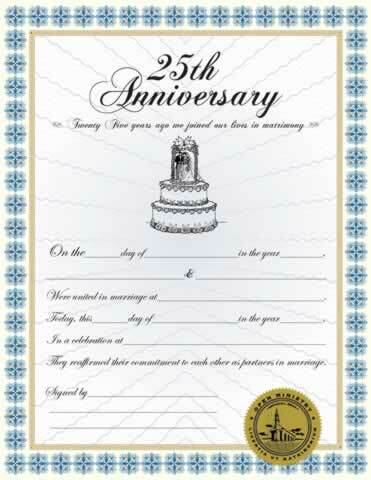 This specialty Anniversary Certificate has space to write date of marriage, names of the couple, location of marriage, date and location of anniversary, signature of witnesses and person solemnizing the marriage. The 25th Anniversary Certificate is to be completed by the couple, minister and/or witnesses. Decorated with our gold embossed ministry seal.